I love serving canapés when entertaining. it makes such a difference and it really is something that your guests remember. These are incredibly simple and can sit very happily for up to two hours so you can make them in advance before your guests arrive. The artichokes themselves can even be roasted the day before. Preheat your oven to 160º fan setting. 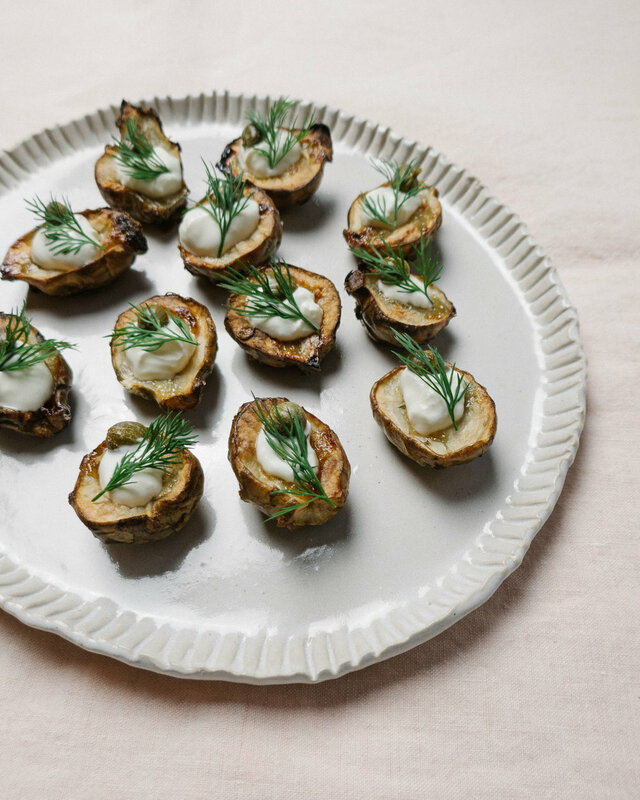 Slice your Jerusalem artichokes in half and place onto a baking tray. Drizzle in olive oil, sprinkle with salt and massage to ensure they get an even coating. Roast for 1-1.5 hours until they are cooked though and have started to caramelise in places. Allow to cool. In a small bowl combine your crème fraîche, lemon zest and chopped dill. 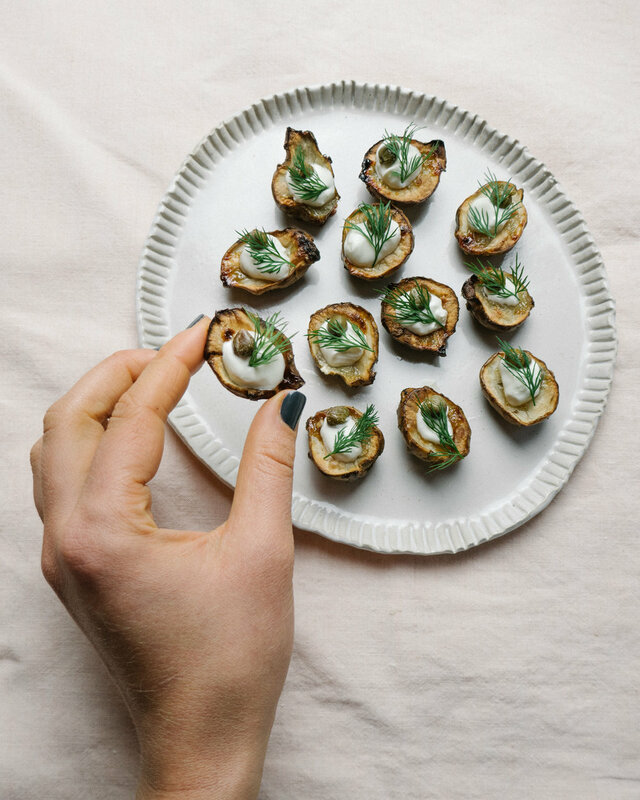 To assemble place about ¼ tsp full of the dill crème fraîche onto each Jerusalem artichoke half. Top with a single caper and a sprig of dill.